Because VCs have a tendency to follow technology stocks, the NASDAQ's recent 12% pullback from its Sept 2018 highs put pressure on many startups: scooter companies Bird Rides and Lime both had to lower their valuation targets in order to raise capital during their last funding round. Other startups are failing outright, like Munchery, a meal kit service that had raised more than $100 million from VCs. Even far more developed companies such as Elon Musk's SpaceX have suffered from the rising pressure on startups to deliver. After failing to meet recent fundraising targets, the company had to lay off 600 employees and stated publicly that it had "extraordinarily difficult challenges ahead." Perhaps the most prominent recent example of a major investor - one that has been spending liberally over the past 10 years - suddenly getting cold feet, is Softbank which had to slash 88% of its planned $16 billion investment in WeWork after the bank's backers objected to the deal. Josh Wolfe of Lux Capital summarized the attitude in the VC world of changing from "’fear of missing out’ [to] ’shame of being suckered’." 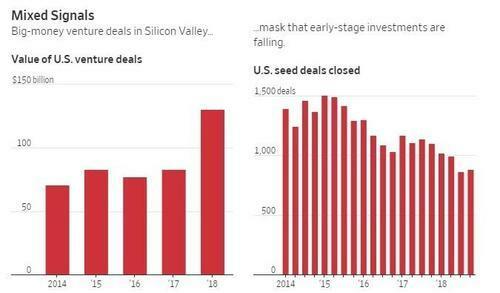 The sudden change in sentiment comes after a bumper year: U.S. VC backed companies raised a record $131 billion last year - eclipsed only by the previous record of $105 billion in the year 2000. And not all companies appear to be stuck - Uber and Airbnb are both still eyeing IPOs to help early investors cash out. Hustle, which placed two video games costing $12,995 in its headquarters, still has a pulse, albeit with a much smaller spending footprint. Hustle even went as far as to rip its espresso machine out of the kitchen at the company's headquarters. Hustle was hiring new employees recently, despite having fallen short of revenue goals for the quarter and year, people familiar with the matter said. 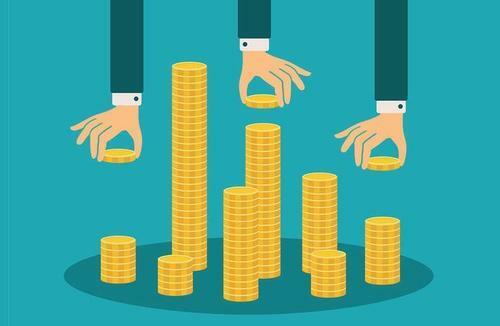 Investors were uninterested in putting in new money after Hustle failed to reach targets in areas such as signing up new corporate clients, meaning it's only a matter of time before the plug is pulled. Its CEO and founder, Roddy Lindsay, said in a company disclosure about its recent layoffs: "I made the rookie misstep of not watching our growth closely enough, and we ended up overbuilding our team beyond our means." Another way of saying that" money was very easy... and then it no longer was. Looks like it's back to Folgers for the remaining employees, who will have a job for at least a few more months.